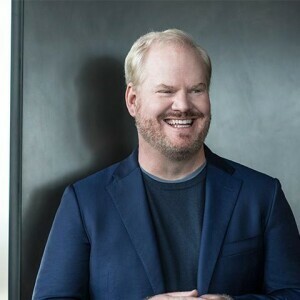 Gaffigan, who is one of the world’s highest grossing stand-up comedians, is currently on his Noble Ape international arena and theater comedy tour, with dates in China, Japan, England, Canada, Paris, Denmark, Sweden, Norway, Finland, Iceland, etc. This past January, he premiered his fifth one hour stand up special, Cinco, on Netflix, who also purchased the exclusive rights to Gaffigan’s four other stand-up specials in an unprecedented deal. The album version of Cinco, Gaffigan’s fifth album, became available on June 13th and during that week, Gaffigan had 6 albums in the top 10 comedy albums list on iTunes. In December of 2014, Gaffigan became one of only ten comics in history to sell out Madison Square Garden and a few months prior, Gaffigan had the honor of performing for Pope Francis and over 1 million festival attendees at the Festival of Families in Philadelphia. In 2016. And streaming site Pandora recently announced that Jim is the most popular comic among its users with over 647 million spins to date. In addition to his own television show, widely popular stand-up comedy and best-selling books, Jim has guest starred on many television comedies and dramas, ranging from “Portlandia” and “The Unbreakable Kimmy Schmidt” to HBO's cult hits “Flight of the Concords” to dramatic roles in all three versions of “Law & Order.” On the silver screen, his credits include Three Kings, Hot Pursuit, Super Troopers, and 17 Again to name a few.